Canadian Natural supports education and training programs to develop people and hire locally across all our operations. Our business activities and community investments have an impact on the growth and prosperity of the communities where we work. At Canadian Natural, we engage the local community across all of our operations by developing and promoting local capacity in all areas of our business. We also support training and employment initiatives that enable the continued development of local workforces near our operations, so that we can train and employ people in the communities where we operate. We work with the communities, and with local and regional contractors, to explore potential employment opportunities. Canadian Natural continues to work closely with Indigenous communities and local colleges to develop skilled trades programs that are accessible and affordable for community members. Canadian Natural continues to support the Northeast Alberta Apprenticeship Initiative (NEAAI) by participating in Steering Committee Meetings, and also through the “Walk with Us” initiative for job search assistance to Indigenous people. 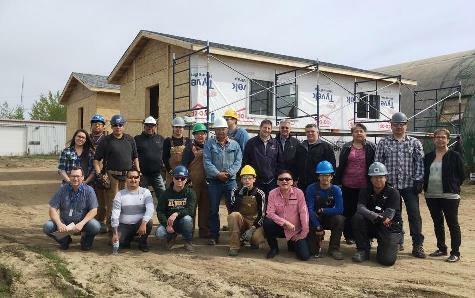 We have been building on a strong alliance with Indigenous, industry, academic and government leaders through the NEAAI, in partnership with the Tribal Chiefs Employment and Training Services Association (TCETSA) “Tiny Homes” project, to increase the number of skilled Indigenous tradespeople in Alberta. The “Tiny Homes” initiative provides apprenticeship opportunities locally, utilizing the specific trades needed while implementing construction projects and contributing toward meeting local housing needs. The project brings together employment opportunities and affordable housing developments in areas that lack adequate housing or training needed to complete such a feat. Trainees in the program work under the direct supervision of Journeypersons (carpenters, plumbers and electricians) who initially earned their status through the first phase of the NEAAI program that began in 2013. ‘Tiny Homes’ project, in partnership with NEAAI, at Whitefish Lake First Nation. 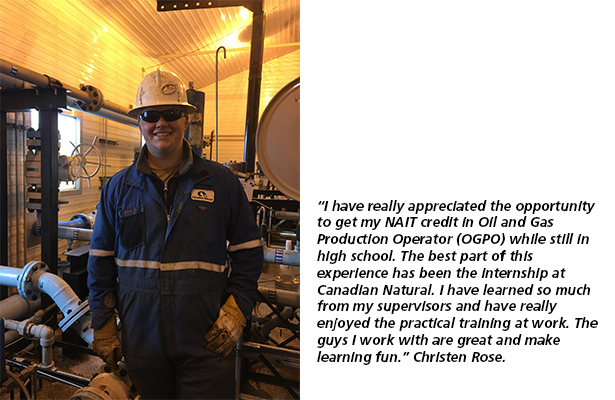 Through our partnership with ‘Careers: the Next Generation’, we offered internships to another eight high school students who gained experience at our Grand Prairie and Fairview, Alberta field operations in 2017. Read more about employment initiatives supported by Canadian Natural. Our business depends on a diverse workforce of individuals who take pride in ‘working together’ and ‘doing it right’. In 2017, we employed 9,973 full-time employees, including 2,500 new employees through the acquisition of working interests in the Athabasca Oil Sands Project and other oil sands assets. In 2017, the employment created by our North American operations and through our capital investment program is equivalent to 84,830 person-years, including direct, indirect (suppliers) and induced (economy at large) employment. To learn more about the employment created by our Company, as well as additional benefits of our operations, visit our 2017 Stewardship Report to Stakeholders and our Economic Contributions section. At Canadian Natural, hiring and developing local people is one of our priorities. We do this through internal training and mentorship, which are essential to our culture. We believe that creating a workforce of empowered employees is a key to creating value, and therefore, developing people also means promoting people from within our staff whenever possible. At our C?te d’Ivoire (CDI) operations in Offshore Africa, for example, we work with the local community and the education system to develop local people. Canadian Natural Resources International employs approximately 60 individuals in CDI, more than 90% of whom are Ivorian, including three members of the local management team. To further support our recruiting goals, we participate in information sessions at universities, colleges and career fairs.